Thanks to Al Sutton of Funky Android at Droidcon NL in Holland this week I got a lot of hands-on time with a retail version of the Sony Tablet P that has just arrived on the shelves in the UK. 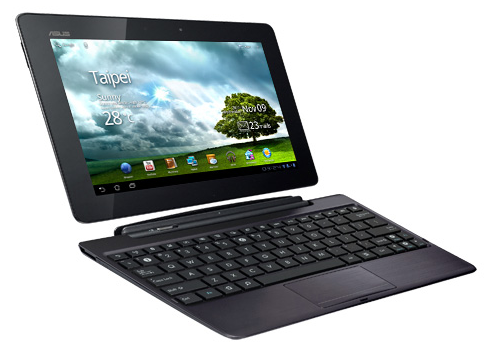 It’s the Psion 5-like dual-screen Android clamshell that I found quite exciting at IFA in Sept. It may look strange but there’s some nice mobile usability features tucked inside. Sony have done a reasonable job of optimizing Sony apps and gaming capabilities for the screen but there are some issues with standard apps and text input which mean the Sony Tablet P may only be interesting for people wanting the Sony media and gaming experience. Obviously the clamshell form factor brings a natural screen protector into play which improves ruggedness. There’s also an interesting 12wh removable battery, a fantastic screen, a fast processor, Honeycomb build (with possible, not promised, upgrade to Ice Cream Sandwich) and a useful 5-row on screen keyboard. In terms of size and weight it feels a little bit dense but it’s about the same weight as a Samsung Galaxy Tab. It fits into most pockets for short term transport but it’s very thick indeed. Its design certainly doesn’t shout ‘manly’ either. Although there’s a gap between the screens I found myself ignoring it when reading content. It was great to see a full readable version of Carrypad across the screens and the Tablet P could make an interesting page-per-view reading device. The split screens bring a little issue when dragging across two screens. When the contact is lost the dragged item gets dropped. Thumbing is possible in portrait or landscape but I didn’t find it as easy as the Galaxy Tab in portrait mode and the sharp corners dig into your hand. Angling the screen closer to 90 degrees allows a level of table-toppecking but there’s no haptics and its a little hit-and-miss. You certainly won’t enjoy inputting large amounts of text in this way. Again, I find a 7″ portaint-mode Thumbing experience to be much more comfortable. I tested a number of apps and was impressed with the amounts of content being presented to me but many apps default into a single screen view. Using Honeycomb’s stretch feature apps are encouraged to spread across with screens. This isn’t always successful though. Google Reader refused to expand and crashed at every attempt. I saw other apps doing this too. This is a critical problem. Having a removeable battery is a real advantage to the ultra-mobile user. Battery life looked, after a few hours of testing, very similar to that of the Galaxy Tab 7 – 6hrs screen-on usage over an active period of 12 hrs. It’s not quite all-day capable if you’re relying on this for some productivity. No games tested – this is a key feature of the device. Content catalogue not available from on this UK model tested in NL – This is another key feature of the device. The Sony Tablet P is an interesting mobile device with some unique and useful features but text input was a little clumsy due to an uncomfortable thumbing grip and lack of haptics. Desktop-pecking is possible, but not efficient. It seems that gaming could be the only serious unique feature here and I haven’t tested it. If that part of the device works well it’s the entertainment user that is the only type of user that really needs to take a close look at the Sony Tablet P. The reading experience was good and the Tablet P is easy to hold but the weight needs to come down a bit to match some of the best reader-capable tablets. Others looking for a more mobile all-round Android experience may find more pleasure in the Samsung Galaxy Note or 7″ Android slates. 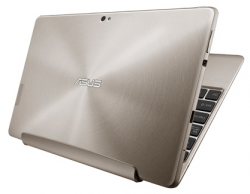 The Transformer Prime is still not featured on the front page of Asus.com, and a support page hasn’t gone live yet, but if you’re sneaky, you can find the Transformer Prime’s official product page on Asus’ website. It would appear as though the product page has gone live earlier than intended as Asus is still advertising for the original Eee Pad Transformer on the front page of their site. Additionally, the Transformer Prime micro-site still shows the “Prime is Coming” teaser text. 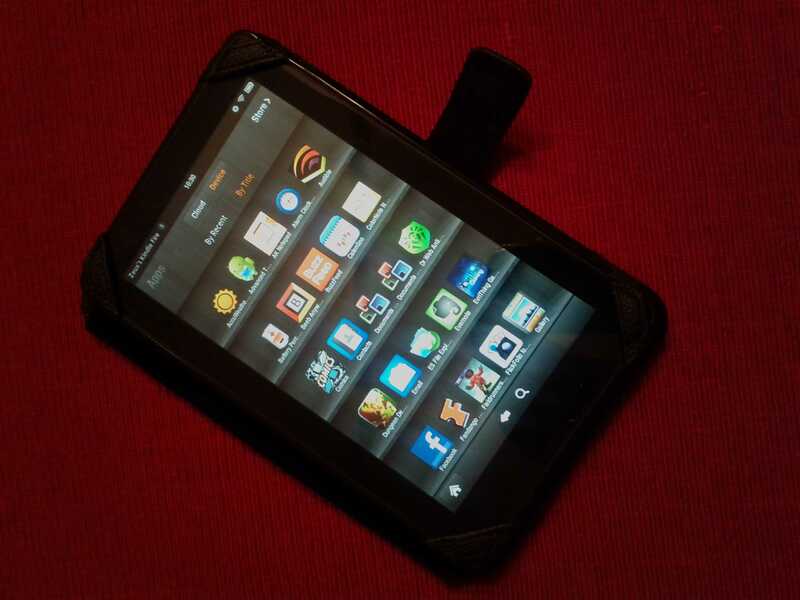 Though we already know most of what there is to know about the Transformer Prime, the official product page gives us the first official list of specs as well a the user manual of the upcoming Tegra 3 tablet. The launch of the official page may indicate that a Transformer Prime release date is not far off. Don’t miss the Prime first look hands-on video from Ritchie’s Room. Though most of us glaze over gadget manuals, I’ve come to find that there are occasionally great tidbits to be found within. Thus, I’ve done you the courtesy of pulling out some of the good nuggets from the Transformer Prime manual so that you don’t have to. From the manual we can see that you won’t get anything too exciting out of the box, which comes with nothing but the Transformer Prime itself, a USB charger, regional wall adapter, docking-to-USB connector, manual, and warranty card. And yes, you read that correctly — the keyboard is not included standard, it’s an accessory that will cost you $149. Among other keyboard shortcuts, pressing the Fn-key along with the Up or Down arrow keys will jump to the top or bottom of a given page respectively. 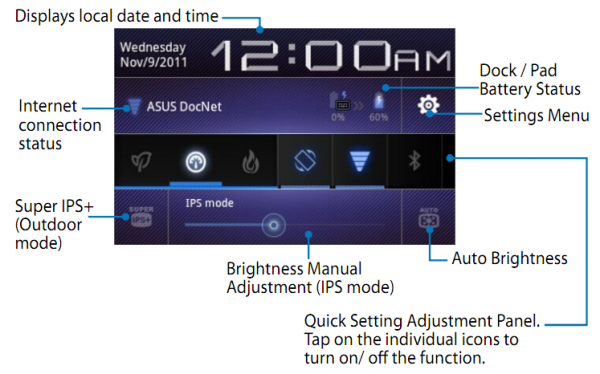 For the original Asus Eee Pad Transformer, one of the popular tweaks was to download a widget that would independently display the battery life of the tablet and the keyboard; by default the system only specified the overall battery levels. 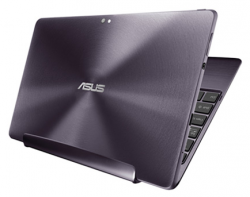 This time around, Asus is adding that funtionality out of the box. Thanks to the Asus Battery Level widget, you’ll be able to see the charge of the keyboard and the tablet without having to download any third-party applications or widgets. In addition to the widget, you’ll be able to see the battery levels on the notification bar and in the quick-settings panel. The Transformer Prime comes with the MyLibrary app which seeks to compile all of your eBook into one place (something you’ve probably been longing for if you’re like me and have eBooks across Amazon, Google, and more). 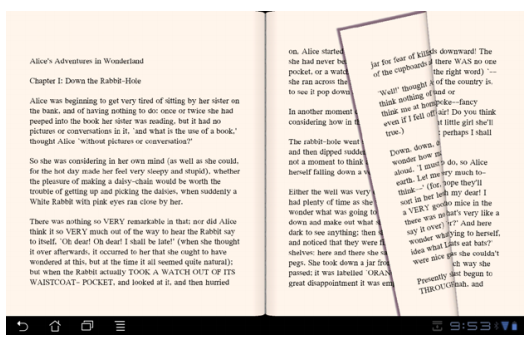 MyLibary supports ePub, PDF, and TXT and has your typical page-turning interface on a sepia background. Asus is including the SuperNote app which will let you take hand-written and typed notes, completed with photos, audio recordings, and more. Without an active digitizer and stylus this seems somewhat out of place, but I suppose this will be enjoyed by those who can get along with capacitive styli. In the download section of the official Transformer Prime product page is a section called ‘Source Code’. This 89.9MB file is presumably the Transformer Prime’s software image, and might be useful for those hacksters over at the XDA Developer Forums. Pricing for the Transformer Prime starts at $499 (+$149 if you want the dock) but the release date has not yet been announced. I recently got my hands on a trial Huawei MediaPad 7 and over the last week I have been using it instead of my Eee Pad Transformer to see how it stacks up in the workplace. 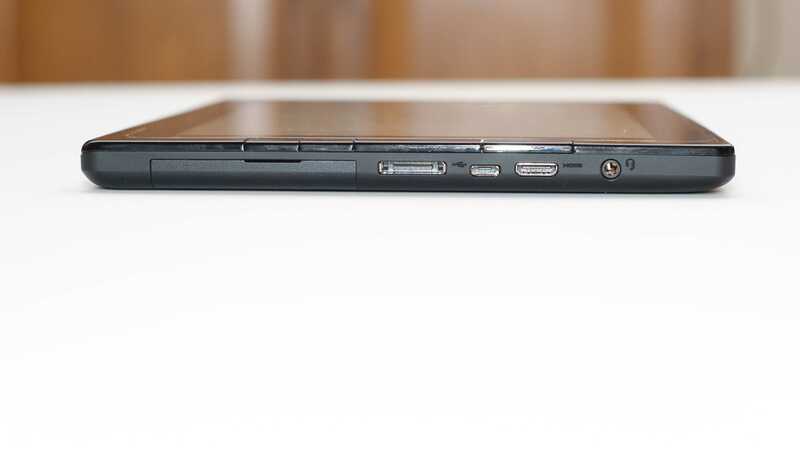 The screen is one of the Huawei MediPad 7’s strongest features. 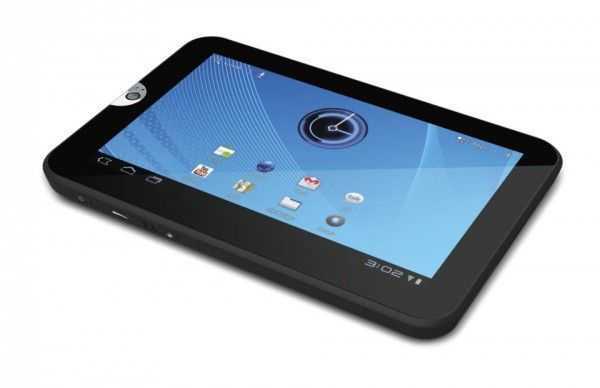 It’s a 7” capacitive touchscreen with a resolution of 1280×800 and is IPS. It’s bright and produces colors well and is perfect for photos and videos but is also great for reading text. E-books look fantastic and the text jumps off the “page”. 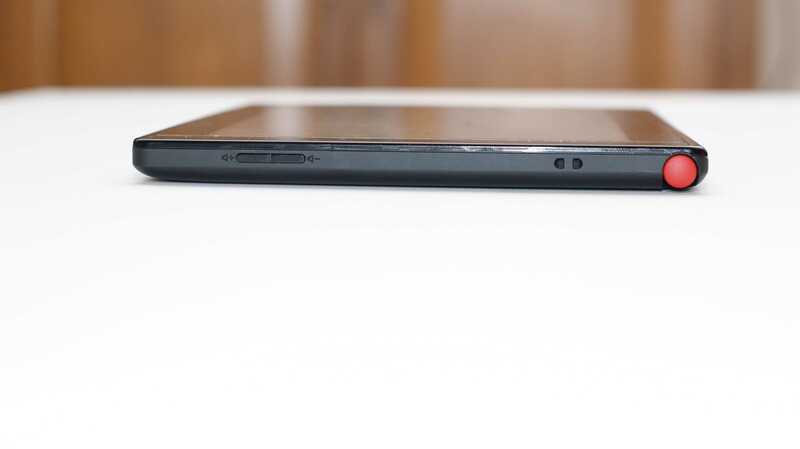 Firstly I am impressed with the look and feel of the MediaPad 7 and it seems to be very well made. The materials are first rate and the fit and finish equal to any other high grade tablet I’ve used. The device feels solid in the hand and it’s ergonomically easy to hold. 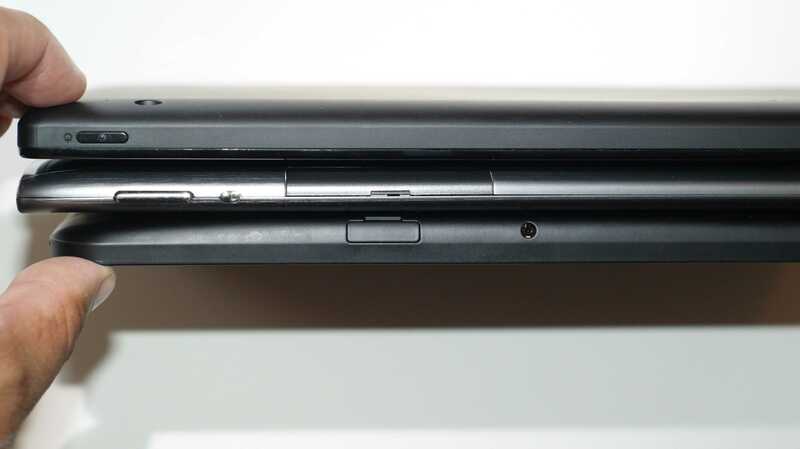 The MediaPad7 feels a bit heavier than the Samsung Galaxy Tab 7 (380g vs. 391g) and this may have an impact if you intend to carry it around a lot or hold it for extended periods while reading or watching videos. Personally I like the smaller form factor but with a high resolution screen and the 7″ size if you don’t have good eyesight you may struggle with the MediaPad 7. I found out the hard way that the MediaPad doesn’t have Gorilla Glass screen as unfortunately my Son dropped the tablet and it landed screen first and slid a bit. It scratched badly and has a crack running edge to edge across the top of the screen. And this from a drop onto a wood floor from a height of less than 2 feet! I’d highly recommend a screen protector and a case as the first accessories you buy. Personally I don’t like screen protectors and haven’t fitted any of my devices with one and the Eee Pad, for example, hasn’t got a scratch on it. I don’t know whether it was just bad luck or a soft screen but this scratching is the worst I’ve ever had on a tablet or phone screen and it didn’t take that much of a fall. YMMV as it could also have been a freaky perfect storm of impact and angle. Moving on to the device, I tested the cameras and I was pleasantly surprised by the rear facing camera. It’s a 5 megapixel camera and just using the standard Android camera interface it handles low light well and the image looked nice and crisp. 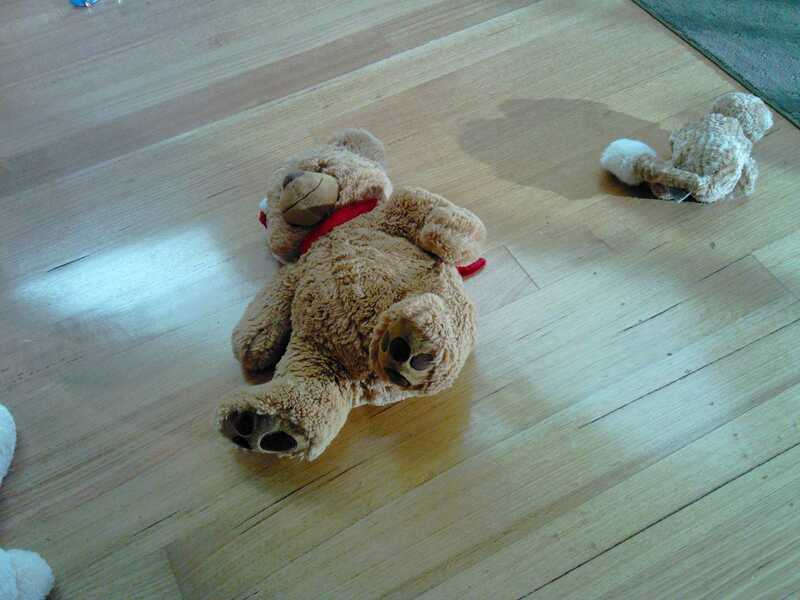 This photo of a teddy Bear was taken in the middle of the loungeroom with filtered light from a window about 10 feet away and there’s little grain in the image. The front facing camera is 1.3 megapixels and also handled room-only lighting easily. Under low light the MediaPad 7 performed as well as any of the other Android cameras I’ve tested and so would be fine for video conferencing or VOIP calls. Periperals like my portable Bluetooth keyboard and mice setup worked fine. I couldn’t connect any USB devices or drives because the MediaPad 7 doesn’t have a full-sized USB port, so this was untested. Huawei claims 6 hours for the battery and this feels right to me. I didn’t run any formal benchmarks on the battery but I could easily get through the day and night using it and have 25% left in the battery when I plugged it in at night. I had WiFi and Bluetoth on, auto brightness, and default screen time-out and sleep settings. My ‘all day’ is from 7 am to midnight usually. The MediaPad 7 will do well for active all-day use. 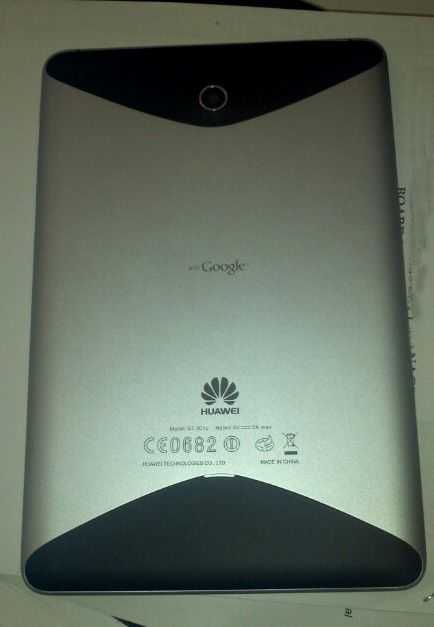 I liked the Huawei MediaPad 7. Cracked screen aside, the Medipad 7 is well made, fast, has a great screen, and is very portable. 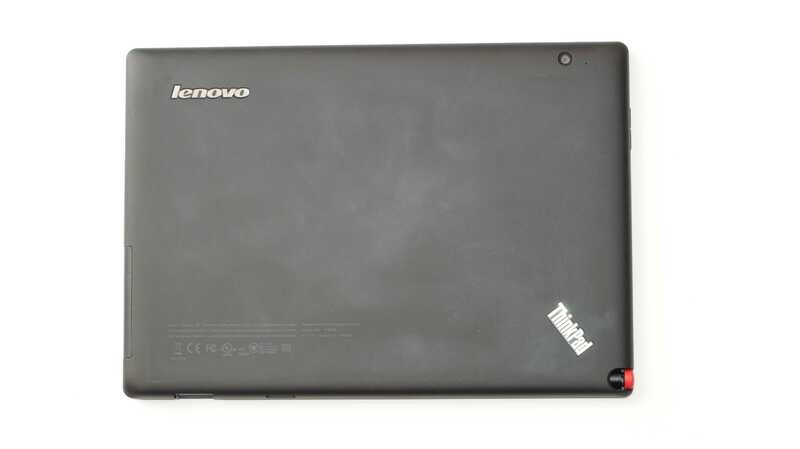 With the right accessories, like a good case and a keyboard, it could work OK in an enterprise environment (of course with the standard Android limitations) but the lack of a full size USB port hamstrings the MediaPad 7 for enterprise work. This may be the tradeoff you have to make to get a 7″ form-factor so you need to asses whether the ability to connect drives or peripherals via USB is a real need for you. I prefer the 10″ screen tablets for work but a 7″ is great for portability and as a quick around-the-house consumption device. I’d consider the Huawei MediPad 7 if it’s priced correctly — stay tuned for pricing announcements which should be coming soon from Huawei. I managed to get a Huawei Mediapad for a few weeks to trial. I only managed to get a few hours in with the device today and snap off a couple of low res pictures from my phone but I’ll follow up with an in-depth overview and some high quality photos in a few days. In the meantime if you have any tests you want me to run on the Huawei MediaPad leave a comment and I’ll see what I can do. Before I give you a few quick thoughts, you can find full specs at the Huawei MediaPad tracking page in our mobile device database. 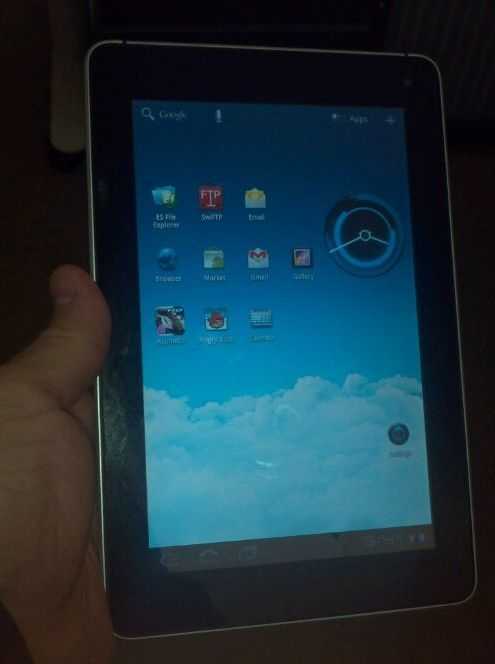 I compared it to an iPad 2 and like the Galaxy Tab found it to be roughly half the size of the Apple unit. The unit is pocketable, just, but cargo pant-pocketable none the less. The screen is great — sharp, bright, and very responsive. The device itself is nicely built and feels solid in the hand. The Huawei MediaPad is heavier than the Galaxy Tab but it feels like the same form factor so if you are happy with the size and feel of the Galaxy Tab you’ll likely be happy with the MediaPad too. I don’t have a lot of apps installed yet and not a lot of media on it to slow it down but I was pleasantly surprised by how fast it is. Everything is snappy and very responsive. Apps open fast, media plays almost instantly and overall the processor doesn’t seem to struggle with anything. If the pricing comes in at the right level, I think this device will sell very well. Chippy is also looking forward to the Huawei MediaPad, and is actually considering trading up his much-used and loved Galaxy Tab for it. Though the tab has treated him well for over a year, Chippy says that he’s overdue for the benefits of Honeycomb in a 7″ form-factor. The upcoming dual-core Galaxy Tab Plus is likely to be a potent competitor to the Huawei MediaPad, especially when it comes to availability. Pocketables points out that the Huawei MediaPad, which Chippy plans on purchasing, has made its way through the FCC, likely on it’s way to a US release. After skimming the relevant FCC documents, it appears as though this is a WiFi-only version of the MediaPad, though Pocketables thinks we may see a carrier-tied version of the Huawei MediaPad at some point. 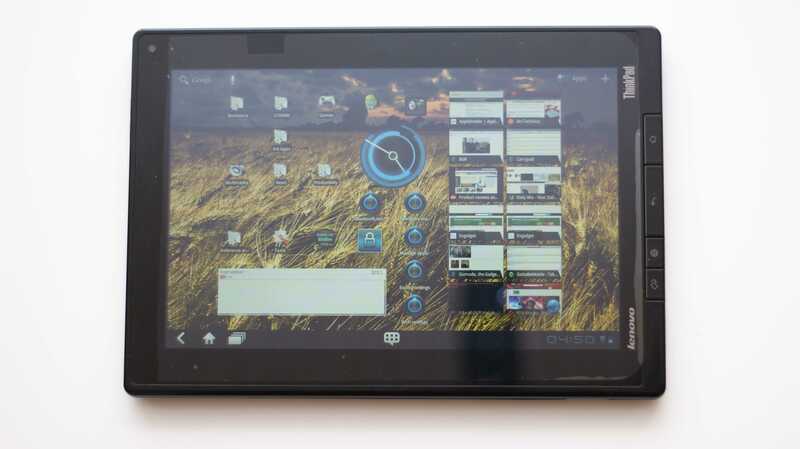 The Huawei MediaPad has already been made available for sale in a number of other countries and is one of only a few 7″ Honeycomb tablets yet available or announced. 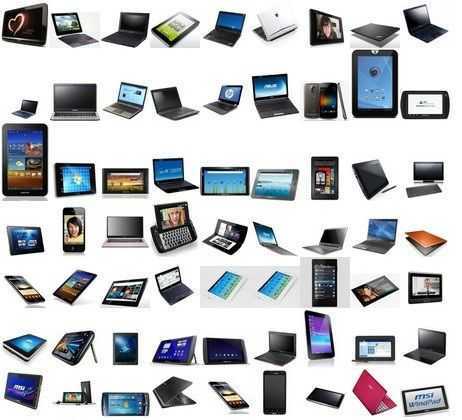 Others include Samsung’s Galaxy Tab 7.7 (and Galaxy Tab 7 Plus), the Toshiba Thrive 7, Acer’s Iconia Tab A100, and a few lesser known tablets. 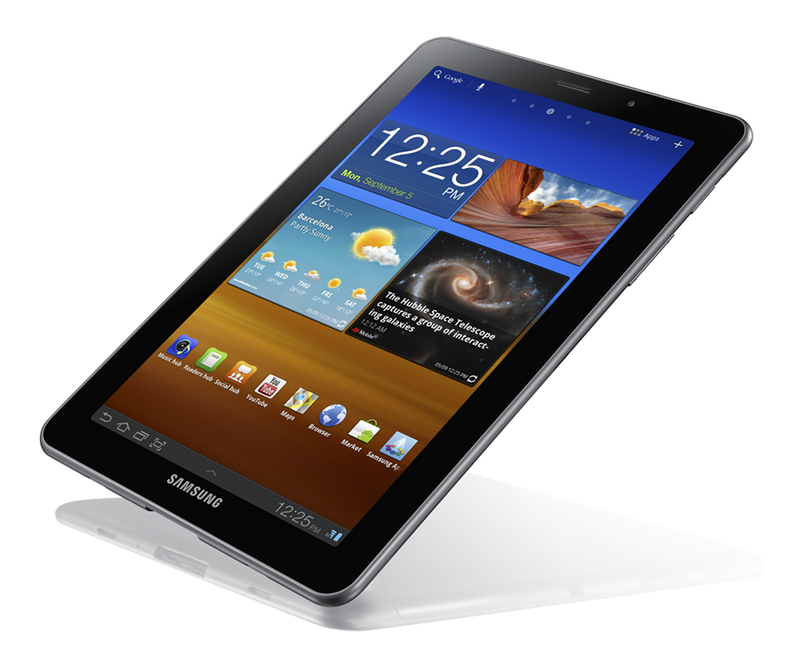 Samsung’s upcoming Galaxy Tab 7.7 was announced at IFA 2011 at the very beginning of this month. 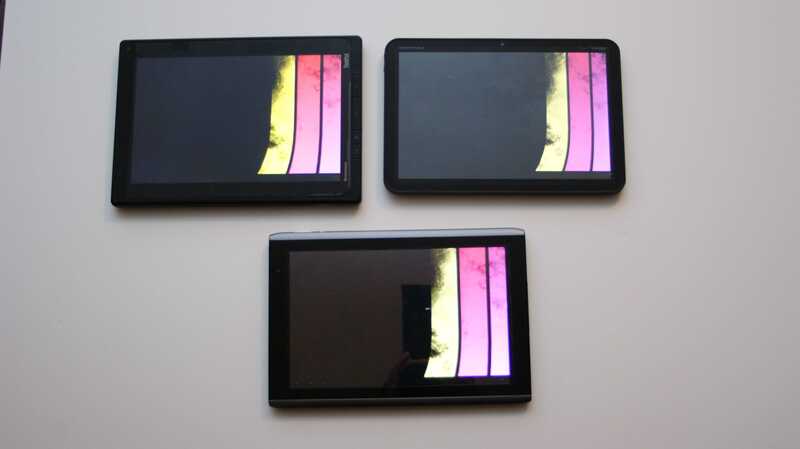 Many were excited to hear about the high density Super AMOLED Plus display and the 1.4GHz dual-core CPU. 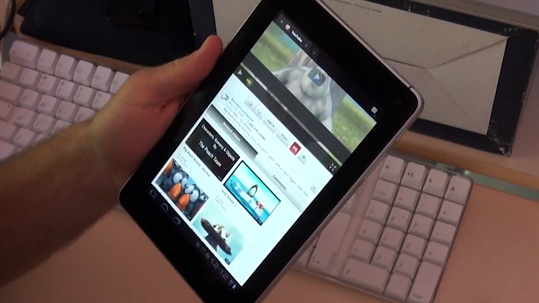 Given the excitement, and the popularity of the original Galaxy Tab 7 in the US, it’s surprising that we saw reports that the Galaxy Tab 7.7 might not become available in the US. 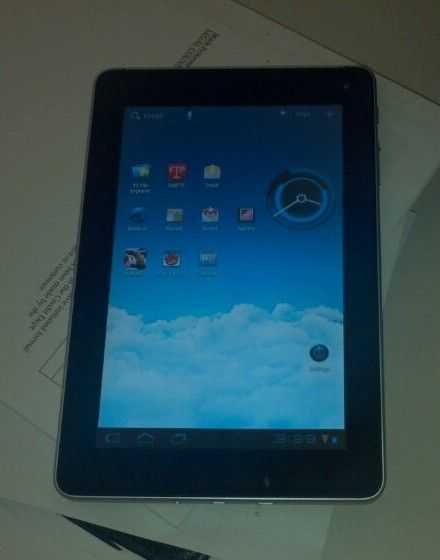 Fortunately, we can now say with confidence that the Galaxy Tab 7.7 will be reaching US shores, thanks to the FCC. Engadget dug up the FCC filing, and while not much detail is revealed, we can see some simple diagrams (click through to Engadget to see), along with the the logo that will be printed on the back of the device, which indicates that the particular model going through the FCC is WiFi-only. Separate testing will need to be done on a model that features WLAN connectivity. The original report of the Samsung Galaxy Tab 7.7 (and the Galaxy Note) not coming to the US came from GottaBeMobile. The information came from a Samsung representative who said that there were “no plans” for launching the Tab 7.7 (and the Galaxy Note) in the US. It’s understandable how this could have been interpreted as Samsung effectively saying that these devices wouldn’t be coming to the US, but it seems clear in hindsight that the rep was referring to the fact that US plans were not yet made, finalized, or otherwise ready to be commented on. Saying that there a “no plans” is a pretty silly way to say that if you ask me! Miscommunication is never fun, but I’m happy that it was merely that, rather than Samsung actually deciding not to launch both the Galaxy Tab 7.7 and the Galaxy Note in the states. 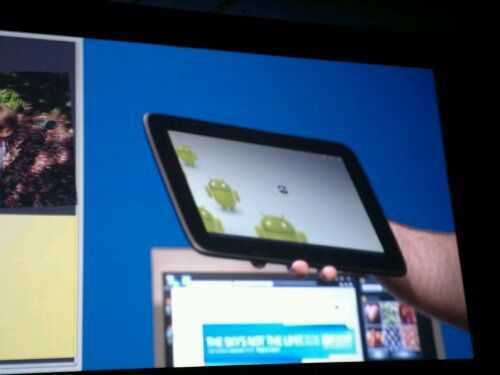 Though the Galaxy Note hasn’t yet cropped up in the FCC, we’ve been expecting to see it in the US at some point, and the Galaxy Tab 7.7 filing gives us confidence that it will eventually become available in the region..
Intel just showed us a tablet running Honeycomb at the main keynote of the Intel Developer Forum this morning. All they said was that it was running on Medfield. 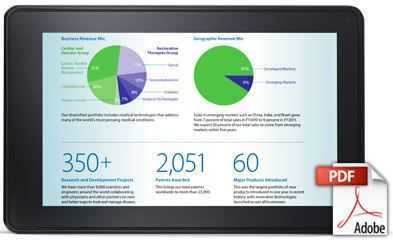 Looks like Android is becoming the focus for Intel tablets. We’re in the keynote now and will try and bring you more soon.